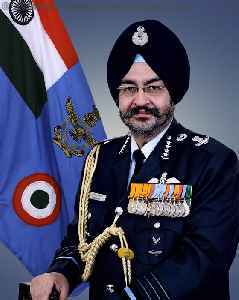 Air Chief Marshal Birender Singh Dhanoa, PVSM, AVSM, YSM, VM, ADC is the 25th Chief of the Air Staff of the Indian Air Force. He assumed the post on 31 December 2016 after Air Chief Marshal Arup Raha retired. Air Chief Marshal B S Dhanoa while addressing a gathering at a seminar on aerospace power of the future and the impact of technology said""In the Balakot operation, we had technology on our side"
Reiterating that the Indian Air Force outgunned the Pakistan Air Force during the Balakot strikes and the subsequent dogfight over the Line of Control in February, Air Chief Marshal B S Dhanoa on..
"The results would have been further skewed in our favour had we inducted the Rafale aircraft in time," Dhanoa said. The Indian Air Force chief was addressing a gathering at a seminar on aerospace..